My husband and I purchased our first home back in October. It has been interesting already to see what plants have started to pop up, since we have no idea what, if anything, is planted in our yard. 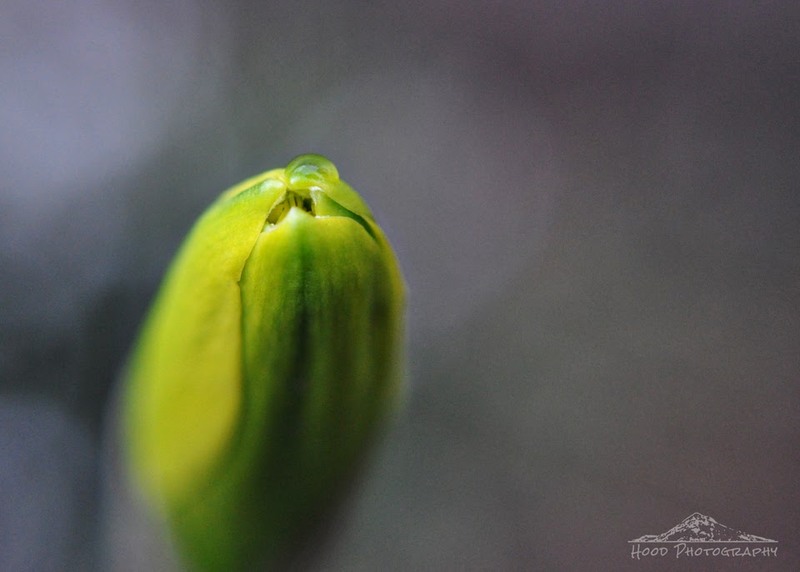 This daffodil, located right outside of my front door, is only days from blooming. Great shot to tease us with. Looking forward to seeing it in full bloom. Very pretty! I hope you will enjoy discovering your garden. Lovely macro!!! I love seeing the flower just waiting to crack open that bud!! !